"Whether you are an entrepreneur or an angel investor, the topic of convertible note vs. equity impacts you. For the most part, startups favor convertible notes and angels prefer equity, but which one is the right choice for your startup?" This is a great collection of "open source" angel financing documents, consisting of a term sheet, stock purchase agreement, board consent, stockholder consent, amended and restated certificate of incorporation, and investors' rights agreement. 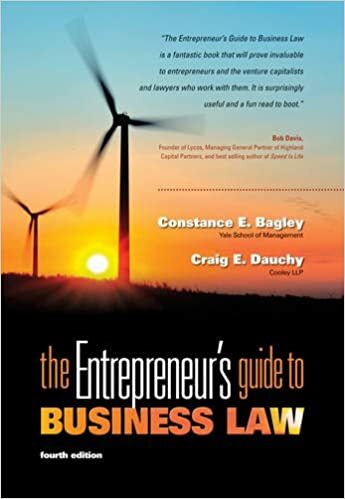 You'll still want to have your attorney guide you through the financing process, but these should provide a very useful starting point. Wondering what your pre-money valuation will be if a VC ever puts a term sheet on the table? Answer the following questions, and we'll calculate an approximate range for you. Of course, every situation is different, so your mileage may vary. A brief overview of how convertible debt works, written by an attorney who specializes in startup issues. 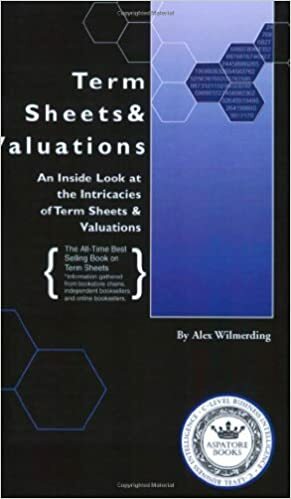 "If you know the minimum cash that you need and the maximum equity that you’re willing to accept, then you know your baseline valuation and everything else is a matter of negotiation." Is convertible debt with a price cap really the best financing structure? More nuanced considerations when choosing between convertible debt and priced equity for early stage financing. This article has many links to views from other thinkers in the field. Annotated preferred stock private placement term sheet from the Angel Capital Association. This article describes, and links to, a model entrepreneur-friendly term sheet. One of the goals is to reduce the amount of time and money that goes into term sheet negotiations. The article briefly describes the rationale for eliminating participation with preferred stock, imposing a 1x liquidation preference, and enacting a single trigger vesting acceleration upon acquisition. The Silicon Valley law firm of Wilson Sonsini Goodrich & Rosati has developed an online term sheet generator. "This tool will generate a venture financing term sheet based on your responses to an online questionnaire. It also has an informational component, with basic tutorials and annotations on financing terms. This term sheet generator is a modified version of a tool that we use internally, which comprises one part of a suite of document automation tools that we use to generate start-up and venture financing-related documents." "Your investors can take their time â?? they have years to invest their money â?? but youâ? ?re under pressure from your employees and co-founders to deliver the money that will keep your company alive. The clock is tickingâ?¦"
"You probably don't have a clue what it really costs to raise the capital you need to fund your business. This expert spells it out for you." Describes some nuanced but important considerations when choosing to fund via convertible notes vs. priced equity. "Before you borrow funds with a convertible loan, make sure it's a positive move for the future of your business." "From seed stage to mezzanine, a breakdown of the key financing terms and what they mean to you." 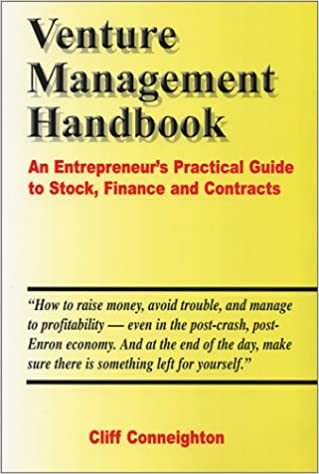 An entrepreneur&rsquo;s practical guide to stock, finance, and contracts.